An encouraging and transformational guide for living your best, ideal life. If you wish to follow your heart but don’t know where to start, this book will provide you with the tools needed to finally choose the life you’ve always wanted. If you feel that change is too hard, complicated, or altogether impossible, this book will help you overcome obstacles in a step-by-step, easy-to-understand guide. A Whole New Life teaches you how to turn dreams into achievable goals and how to develop flexibility without losing your sense of direction. In this book, you’ll learn how to identify and eliminate mechanisms that bring you to a standstill, recognizing challenges that evoke fear and anxiety or hinder your full self-realization. This book is first a promise, then an idea, a series of steps and, in the end, an uplifting reality. "Lucia Giovannini has masterfully brought together her unique personal experiences, examples of her clients' paths of change, scientific studies, a variety of personal growth processes, thought provoking ideas and questions, practical tools for transformation, and much more to inspire you with the possibilities for your life." "Wow! This is the most insightful and profound book on life and change in many, many years. Clear observations, wise insights, and unjudging tone, sprinkled with amazing quotes and relatable anecdotes. Very powerful. Highly recommend." "A Whole New Life is a powerful journey that takes us from awareness to action. In our experience, the true key to change is to be able to have access to different tools that one can reach out to whenever life comes calling. This book provides exactly that! A guide to help us year after year, to create our life of our dreams!" "Lucia has offered several courses in India, and A Whole New Life is an instant hit. It helps participants go deeper in their understanding of themselves, dissolving barriers and blocks and creating a powerful vision. Months after the seminar, participants have written to us, sharing how her techniques are helping them. It is overwhelming. Lucia's insights and intuitive ability to understand people create an instant connection with her readers. Her genius lies in making complex things simple. Her passion for creating change and her understanding of psychology comes through in every touch point. 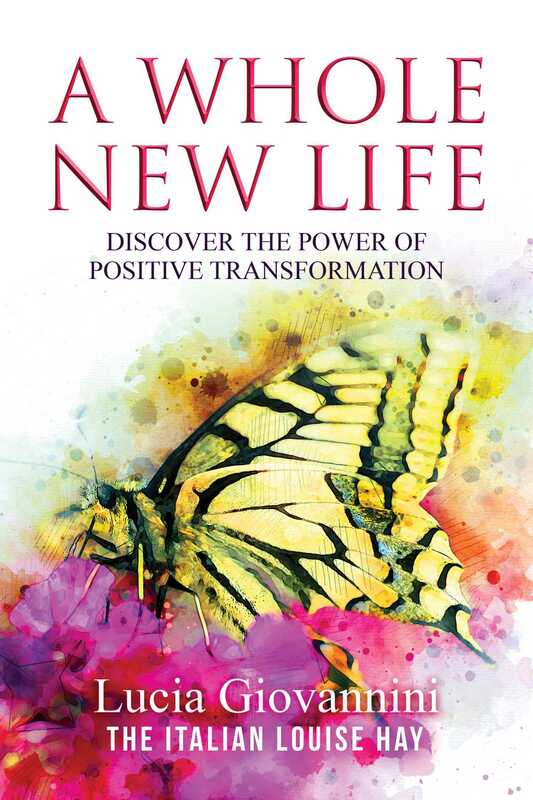 This book is truly a pathway to creating a whole new life!" "A powerful soul with a big heart, Lucia is one woman I look up to every day. Her books have been enlightening and shall remain a sourceful guidance for thousands of people around the world." "I have known Lucia for quite some years now, and have always been shocked at her ability of putting complex situations in a very simple frame. Her multidisciplinary knowledge and training always push you to view from different perspectives through an extremely balanced approach, thus realizing where you are and the blocks that pull you back. Her wisdom in making things easy allows you to see change as a mere exercise, no more an insurmountable task. "Lucia is a soul full of light who, thanks to her work, brings a message of peace, hope, and love to the whole world. I'm happy that her book A Whole New Life is now available in India and I hope that this book will receive the recognition and welcome it deserves in my country too. Namaste."